Fly Sky introduces its newest 3 channel radio system. 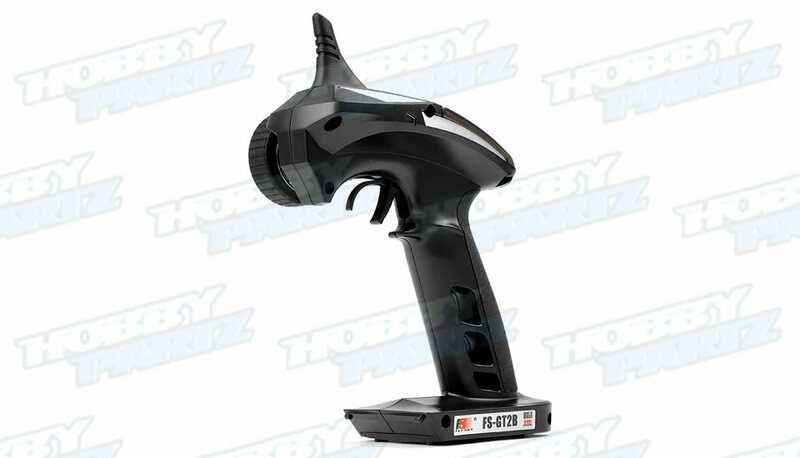 This sleek radio system features improved ergonomics and design. 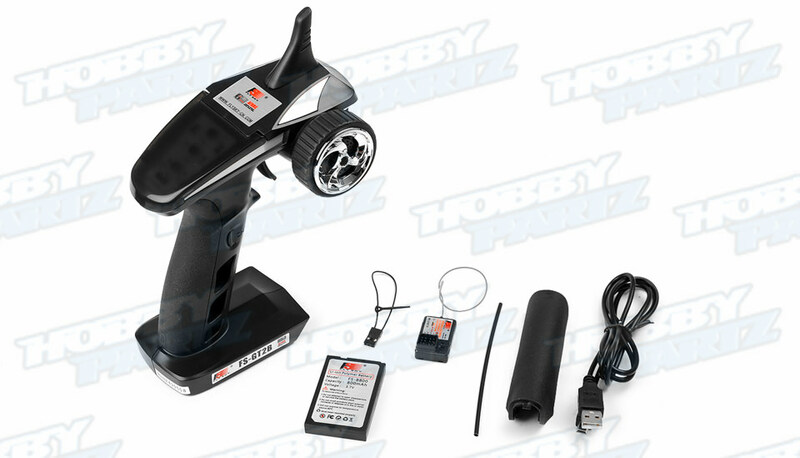 The Radio is powered by a 800mah 3.7v lithium battery for enhanced runtime and lighter weight. 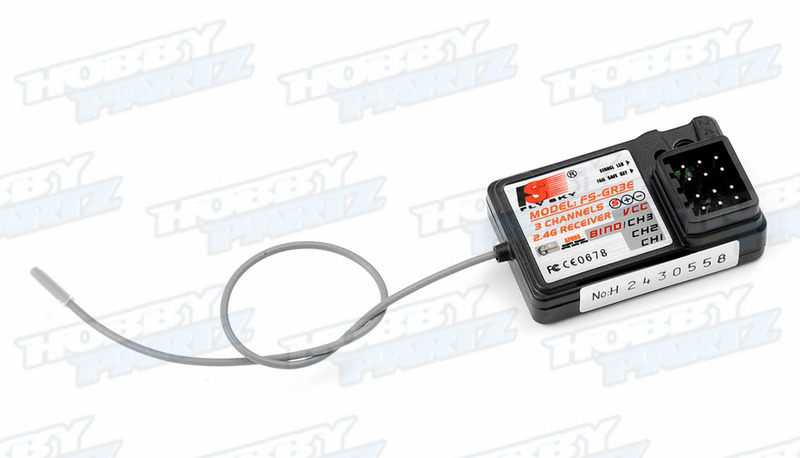 No more searching for AA batteries the lipo is ready to charge up at any usb port. 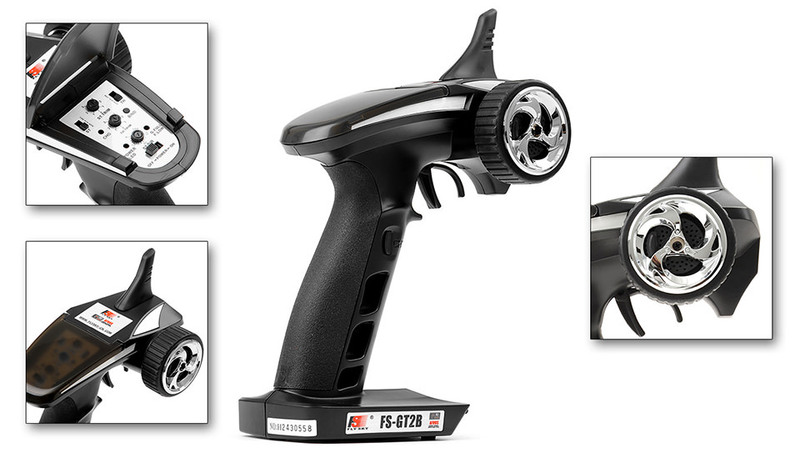 The 3 channel GR3F receiver features channels 1 and 2 for proportional throttle and steering controls, while the 3rd channel is a push button on and off type of switch located conveniently on the pistol grip. 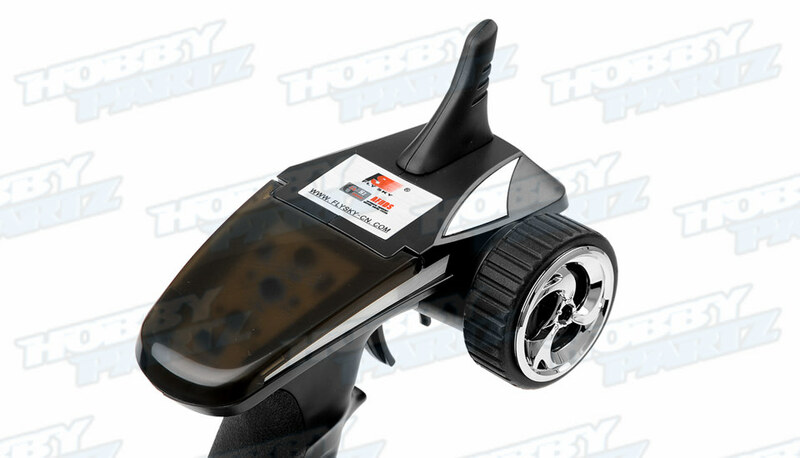 The transmitter is setup for right handed use and allows quick changes to the steering and throttle trim dials, along with steering and throttle channel reversing and very useful steering dual rate dial at the tip of your fingertips. 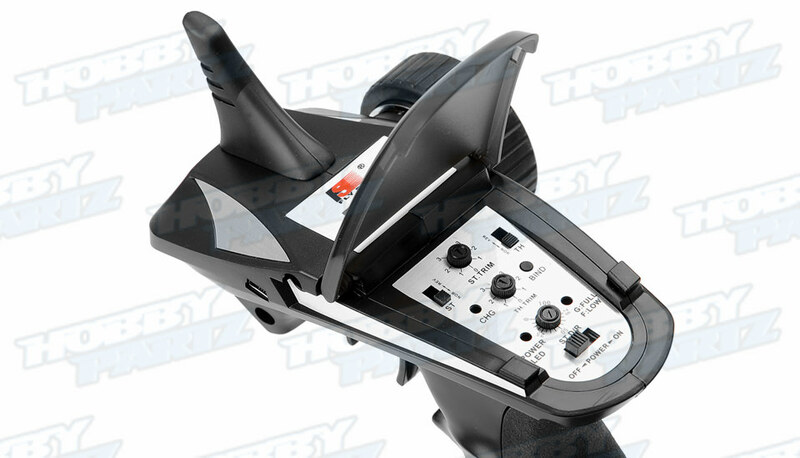 The steering wheel has great response with the perfect amount of resistance and spring back to center perfectly. A rubber grip around the wheel ensure your fingers do not slip if they are covered in dirt or oil. 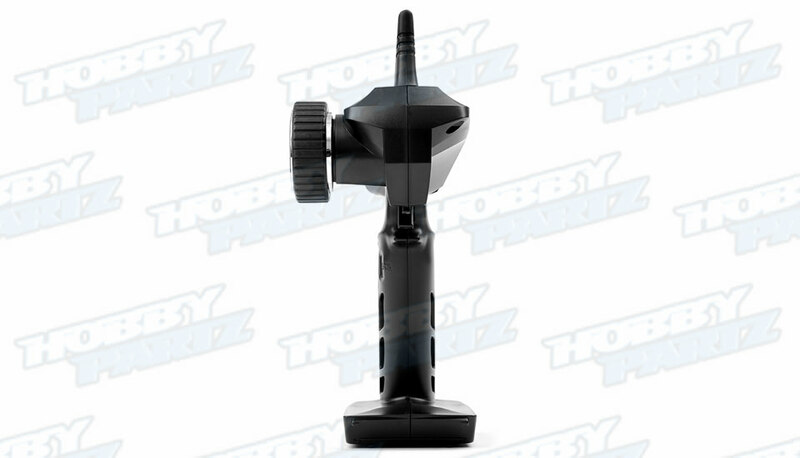 The pistol grip is also interchangeable with a fatter palm swell to accommodate larger hands. 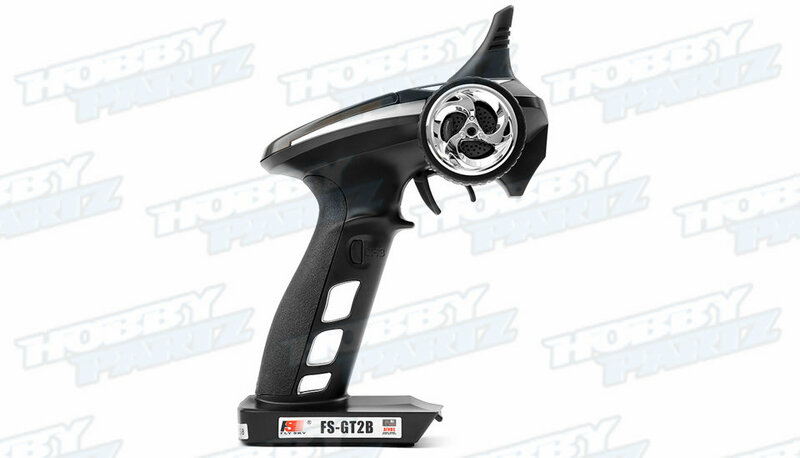 This is the newest Fly Sky FS-GT2B 3 channel 2.4ghz radio and we are impressed!